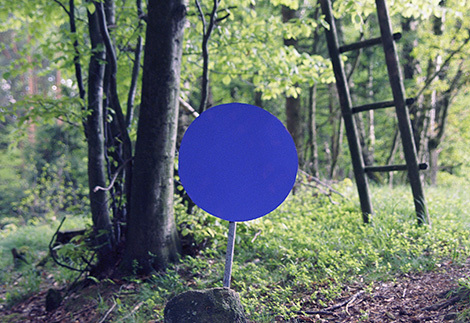 I am happy to announce that I was selected for one of the three artist residencies at Stille Nacht Museum Hallein. 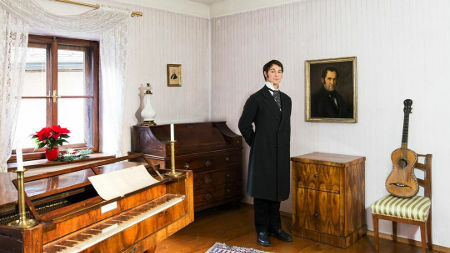 During this residency i will work on a 200 hour long version of the song »Silent Night«, using the original instruments of the composer Franz Xaver Gruber. Happy to announce that I was selected as an artist in residence at Sporobole centre en art actuel in Sherbrooke, Québec, Canada in September & October 2018. 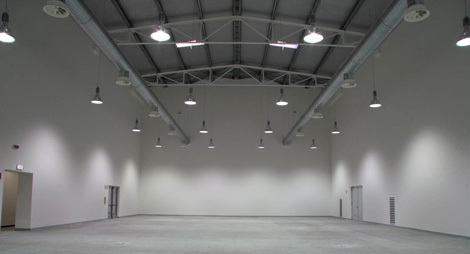 The art centre boasts a 16 channel studio, which i intend to put to good use. 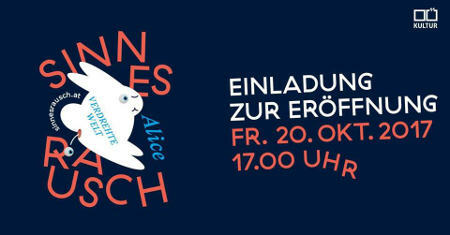 A big thanks to die KUNSTSAMMLUNG des Landes Oberösterreich for making this happen! 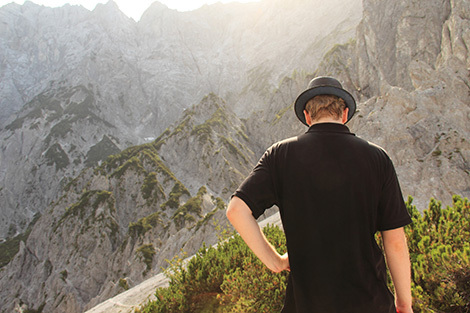 I am happy to announce that I was selected for one of Nationalparks Austria media stipends. This summer I will spend two weeks in the mountains of Nationalpark Gesäuse and record the most interesting sounds of nature! 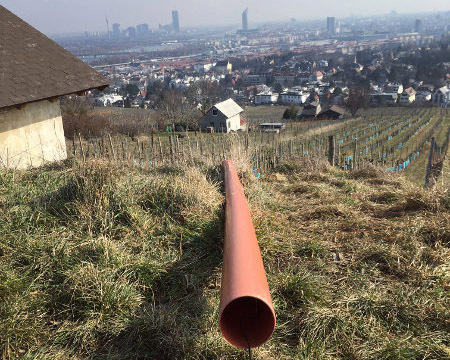 Listen to my newest field recording of Nussberg, Vienna through a water pipe! Theatre director Philipp Preuss invited me to provide the soundtrack for the play »Faust Mit Motiven aus Faust II« by Johann Wolfgang von Goethe at Theater Heidelberg. This time i experimented a lot with 5.0 dolby surround playbacks to support the eerie setting of the piece. For more information and all dates please check this link! Last winter Österreichische Bundesforste sent me out to record the then frozen Grundlsee! I went there in the morning, minus 15 Celsius and waited for the magic to happen. I was not disappointed. Check out the eerie soundscape here! I was commissioned by SCHÄXPIR - Theaterfestival für junges Publikum & OÖ Kulturquartier to develop a three part audio installation called »KÖNIGIN - eine Quadrofonie« for the exhibition »Sinnesrausch. 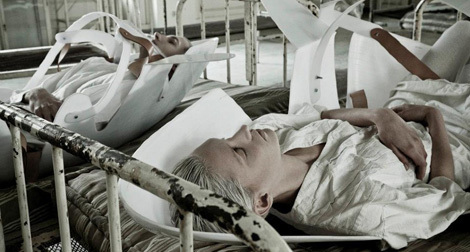 ALICE verdrehte Welt« The piece is based on a text by Charlotte Luise Fechner, spoken by Julia Carina Wachsmann, Elena Wolff, Adrian Hildebrandt & Judith Mahler. 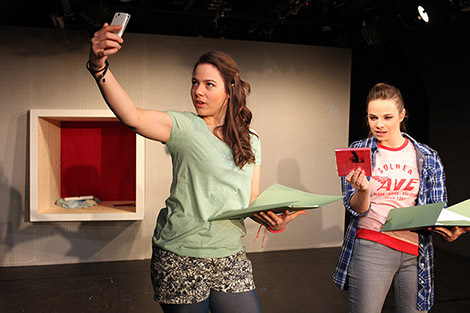 Rehearsal & dramaturgical support by Julia Ransmayr. The exhibition will open at OK Linz on November 20 and you can visit the sound piece until 31.3.2018. More information here! My work »Denoising Field Recordings« is part of a group exhibition called »Charivaria«, which is taking place at the CentroCentro gallery in Madrid. The show is open from 06.10.2017 to 28.1.2018. More information here! 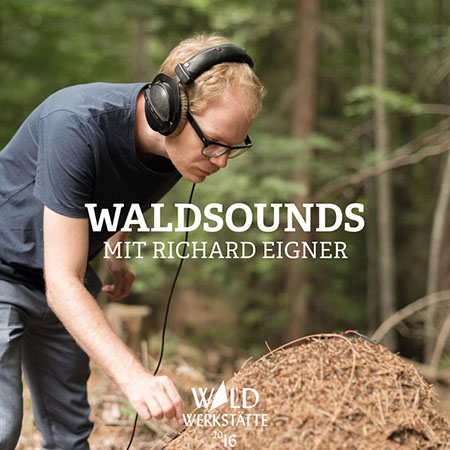 I got the possibility to provide the forrest soundscape for an exhibition by pavillon_34, Saint Charles Apotheke Wien and Feldküche called Waldinhalierbar. 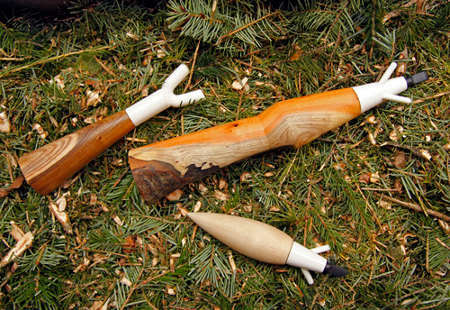 It is possible to smoke, taste, smell and listen to the woods. 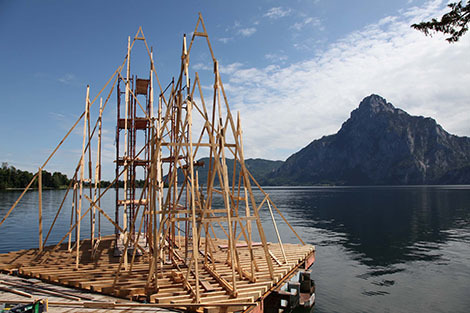 Being part of Vienna Design week the show will be open from September 29 to October 7. More information here! I developed a sound branding for the agency friendship and their numerous activities. Originating from their first project Feldküche, the work of the company soon evolved and culminated into the lovely FAQ Festival, amongst other adventures. The goal was to invent a sound logo, that is modular and adaptable to the different branches of projects. Listen to the variations here! I am responsible for the sound design of the opera [Catarsi] by Musiktheaterkollektiv Agora. The piece is part of the Münchner Opernfestspiele of Bayerische Staatsoper and will take place at the Postpalast Munich. The music, which is based on Beethovens opera »Fidelio« will be spatialised via the advanced 4DSOUND system. I started a project with Alireza Mollahosseini, Mona Matbou Riahi & Stefan Fraunberger with the great support of Linzkultur. dorf tv were so kind to film our concert at Kepler Salon, you can watch it here! I was invited by theater director Philipp Preuss to provide the soundtrack for the play »Kasimir und Karoline« by Ödön von Horvath at Volkstheater, Vienna. 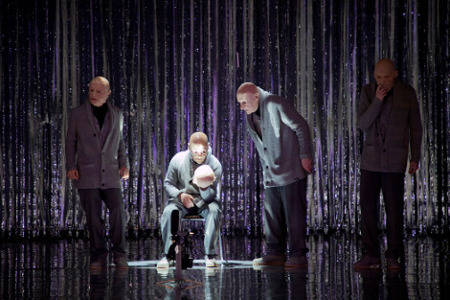 It features a stellar cast of actors (Stefanie Reinsberger and Rainer Galke amongst others) and an amazing stage design consisting of thousands of LED strips. If you happen to find yourself in Vienna, i can highly recommend to check it out. For more information and all dates please check this link! 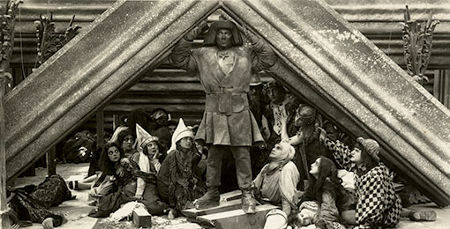 Ritornell will score the classic silent movie »Der Golem, Wie Er In Die Welt Kam« at METRO Kinokulturhaus, Vienna. 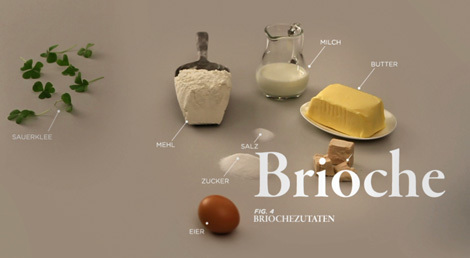 Filmarchiv Austria kindly asked us to provide the film with our signature soundscapes. More information here! I had the honour to work on the music and sound design of Marie-Therese Hildenbrandt's film »Abjective«! 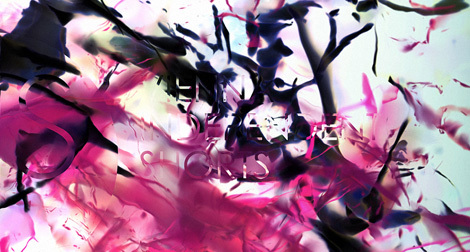 It will premiere on Sunday January 15th at London Short Film Festival, in a program called »The Sound Of [Fashion] Music«. To watch it, gently click the image above or this link! Next release is comping up! What fabulous ous records say: »Stalker/Swoop is a magnificent collaboration between German »DIY-Instruments« artist Andreas Oskar Hirsch and Austrian percussion and field recording perfectionist Richard Eigner from Ritornell.« The 7 inch record is going to be release on 2nd of December, you can already preorder it here! I'm happy to announce that I'm now endorsing the very fine Murat Diril Cymbals! 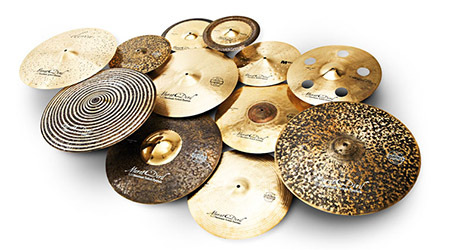 It's a big honour for me to represent the hand hammered turkish cymbals. 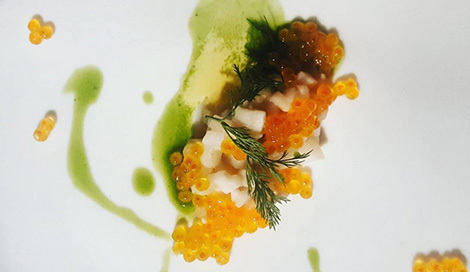 My favourite chef Christoph Fink asked me to provide the fat sound for a special dinner he cooked with Tobi Müller, dealing with the topic fat. I composed a little miniature for every course and tried to incorporate the ingredients into the sound design. Listen here! 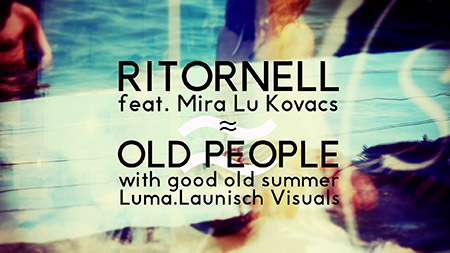 My friends from Luma.Launisch made a lovey video for our Ritornell album track "Old People" feat. Mira Lu Kovacs. You can watch the video here! If you find yourself near Vienna on 17.09.2016, you might want to attend my field recording workshop in the Wienerwald. My friends from Feldküche are organising some more interesting days for their Waldwerkstätte in conjunction with Bundesforste. You can see more detailed information about my workshop here! 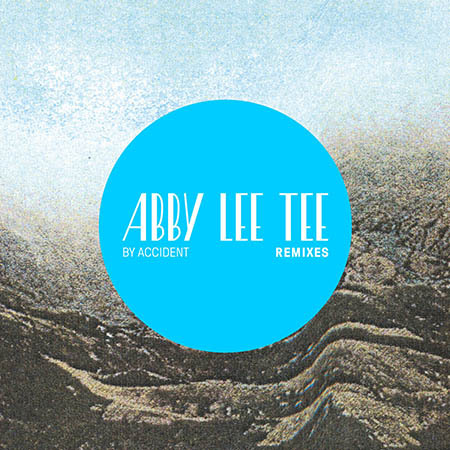 I had the honour to contribute a rework of an Abby Lee Tee track to his »By Accident« remix album. My friends Julian Sartorius (drums), Stefan Pista Bartus (Bass) and Gustva Scholda (Kyma) are all featured in this production. Listen to it on soundcloud or buy the remix here! 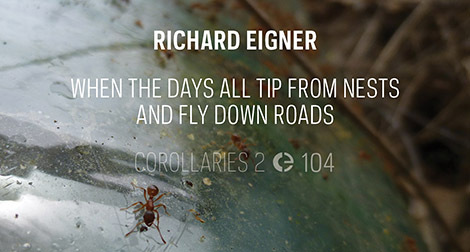 Richard Eigner's 'When the Days all tip from the Nests and fly down the Roads' is the second release in the series Corollaries that will span 2016, compiling works resulting from Active Crossover: Mooste, a cross-cultural collaborative residency curated by Simon Whetham and hosted by MoKS, in April and May 2015. 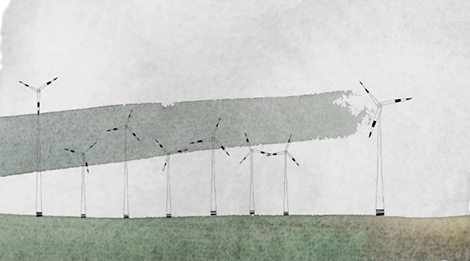 All works are composed from material compiled in a collective archive during the project. Download here! I will spend the second half of September in Lausanne, Switzerland to provide sound design for a very exciting version of Monteverdi's opera Ulysse. More information here! I'm happy to present the second clip. 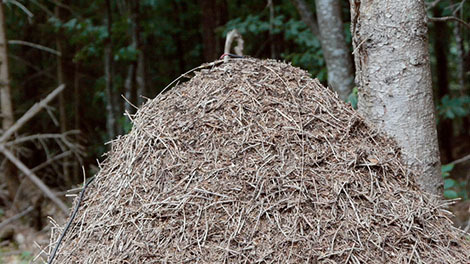 I shot it at the amazing Feldküche Waldwerkstätte: check out More Ants On A Guitar String! I'm working on a new series of films, this being the first: check out Fence! I'm happy to join the Berg expedition team on September 23 & 24 with some special instruments next Tuesday & Wednesday. If you hear some weird sounds surrounding the Traunsee area, it might well be me exploring the mountain acoustics! 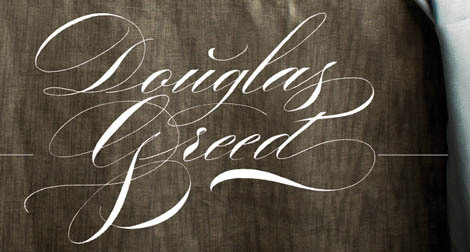 I've answered the lovely team of BREATHE AUT some questions. If you gently click the link you can find the interview and some exclusive new austrian Field Recordings of mine. 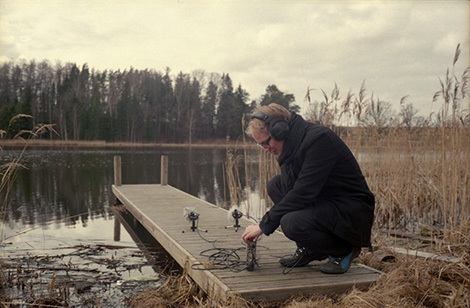 Ritornell was responsible for the music and sound design for Ursula Feuersinger's very interesting project »Deep City«. 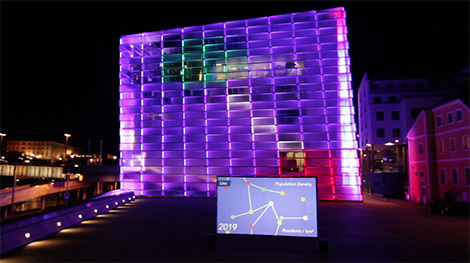 Utilizing the Ars Electronic media facade and a second projection, different layers of data were visualised and illustrated with sonics as well. I'm happy to invite you to the new exhibition called Ausnahmezustand by Maximilian Walch and myself at Galerie Forum Wels, open from March 4 to March 25. There will be a specially devised concert happening on March 11! 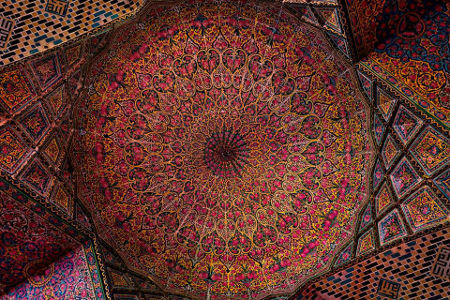 I'm happy to announce that I was selected as an Artist In Residence at Teehaus der Österreichischen Residenz in Teheran, Iran. 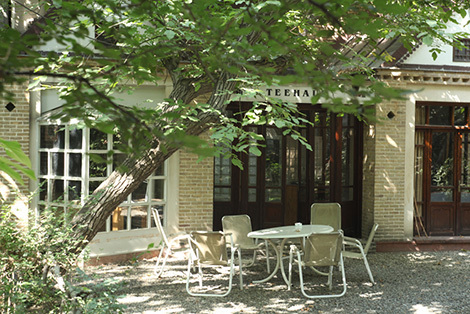 I will spend August 2015 there, trying to catch a glimpse of persian music. 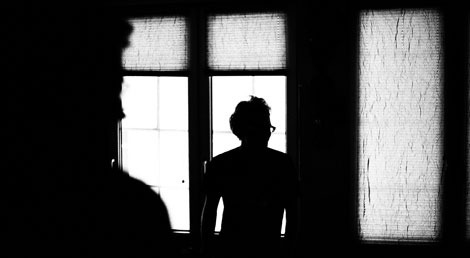 Director Julia Ransmayr invited me to provide some sound design for her production of the piece »Netboy«, which is dealing with the topic of cyber bullying. 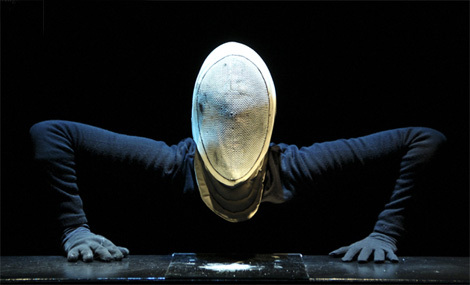 It will premiere on February 6 at u\hof: Theater für junges Publikum, Linz. For show dates gently click this link. I've played some drums on »Kuku«, the title track of Flako's current EP. 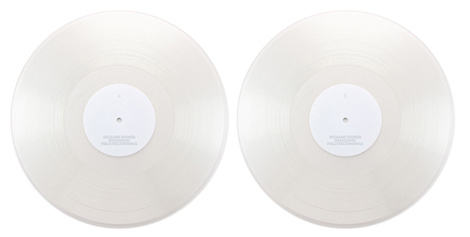 You can take a listen and order it at Bleep record store, for example! 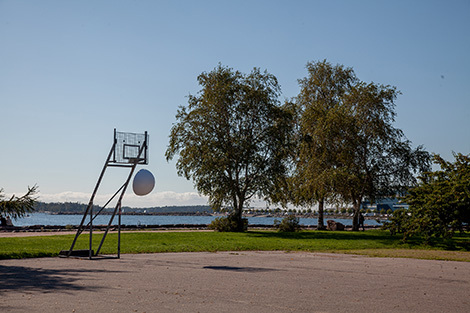 Thanks to the fantastic Sound Development City expedition I could realise a series of location specific sound interventions in Riga, Helsinki and on the path linking those two centers. Gently click the picture above or this link for the project documentation. 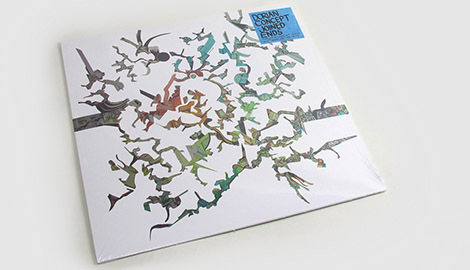 Dorian Concept just released his second long player »Joined Ends« on Ninja Tune records. I'm happy to announce that i could contribute some cymbals and shaker to his new outing. Listen closely to the tracks »The Few«, »Tried (Now Tired)« & »Clap Track 4«! 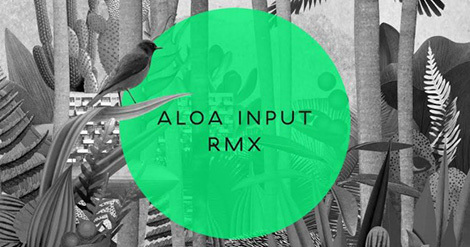 I've remixed a song by the great band Aloa Input, which is released on one of my absolutely favourite labels Morr Music! Other remixes by B.Fleischmann and Sam Irl. As good as it gets. Stream it on soundcloud or get it at your favourite digital retailer. Melting Sphere / Tired Dancers 7"
I've teamed up with Abby Lee Tee originally to provide the score for a collaboration with filmmaker Andreea Săsăran and illustrator Katja Seifert entitled »Melting Sphere«. We are happy to announce that we are releasing this work coupled with the track »Tired Dancers« on the label 15pcs. distributed by houztekk. 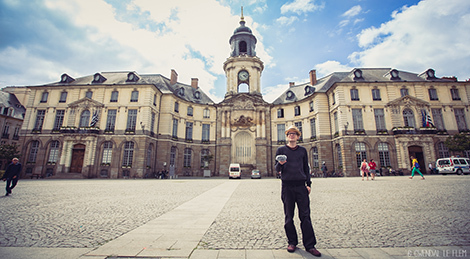 My sonic postcard of City Hall Rennes reveals the aural findings of a one week residency in October 2013. During my stay I discovered some of the building's most distinctive sound signals, such as the screaky entrance door or the traffic noise, that surrounds the halls and finds it's way sneakily through open windows and doors. I also had access to the roof of the City Hall and recorded the charming cylclic tick-tocks of the huge clockwork. Creative Region commisioned Madeleine Plass and myself to work on a cement speaker. We've built an acoustic horn that amplifies little drivers. 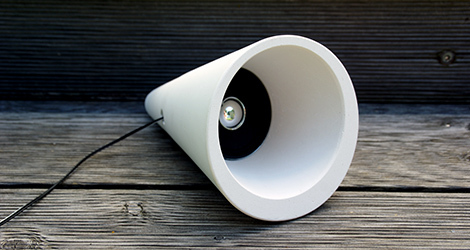 You can shape the speaker with us at Bubble Days, Linz on June 13 & 14 or try to DIY it a home with the upcoming manual! I had the honour to work on the ident and music for the F-Secure campaign starring everyone's favourite David Hasselhoff. Find more info here and watch an example spot here or gently click the picture above! I've been commisioned by Vienna Independent Shorts Festival to work on a live performance of the musical score to Brett Battey's piece »Colonal Colonies. Movement I: Fresh Runners«. The performance will take place at Gartenbaukino, Vienna on May 23rd and will be a reduction of the original music in Dolby Surround 5.1. 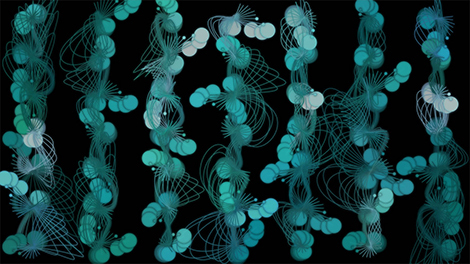 I'm happy to present you our new work »Sounds Like Nature«! 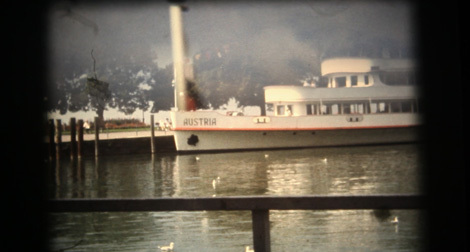 Luma.Launisch invited me on various recording trips to »Nationalparks Austria«. 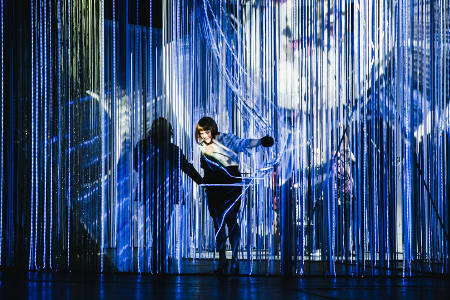 Watch the mesmerizing audiovisual beauty we were lucky to capture here and the »making of« here. 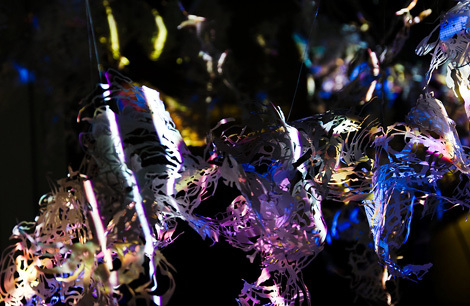 »Swiss Mosquito« is an intricate composition featuring sounds that challenge the boundaries of human hearing. 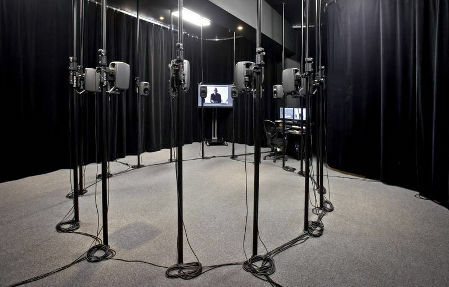 The 4 channel piece was commissioned by Lentos Kunstmuseum Linz for the »Sound Passagen« exhibition. Other participating artists are David Toop, Carl Michael von Hausswolff, Michaela Melián, Karin Fisslthaler, Andreas Kurz & Lena Leblhuber. Check out the work here! 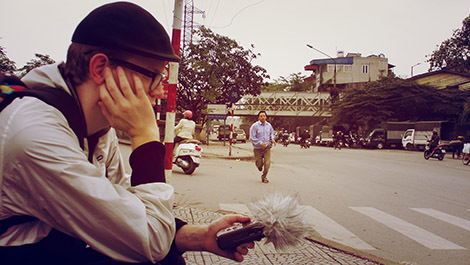 The vietnamese electronic musician Tri Minh invited me to his Hanoi Sound Stuff Festival in order to present my Denoising project. A very fitting choice, since Hanoi is a city that is simply buzzing with energy. Due to the overbearing traffic it's near impossible to find a quiet place. The endless stream of scooters and cars is generating an ever present ambience of engine noise and honks. Gently click this link or the picture above to read about my impressions of Vietnam and to watch more photos! 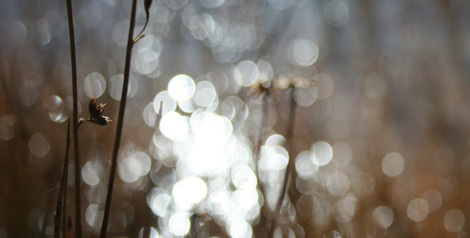 My dear colleague Rainer Kohlberger created the amazing app »rain« for iPhone and iPad. 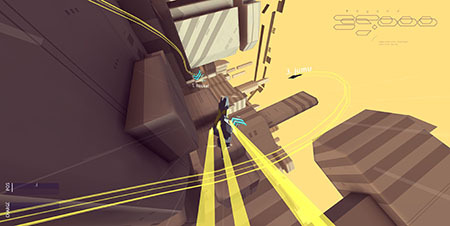 It is now available at the app store in an updated version with fresh sound design by Roman Gerold and me. Get it here! Infamous Didi Bruckmayr approached me some time ago asking for a contribution to his new project Mussurunga. We recorded his vocal acrobatics in a hidden location in Upper Austria and I built a new composition swirling around his performance. The track is available now via Houztekk Records! Listen closely here. 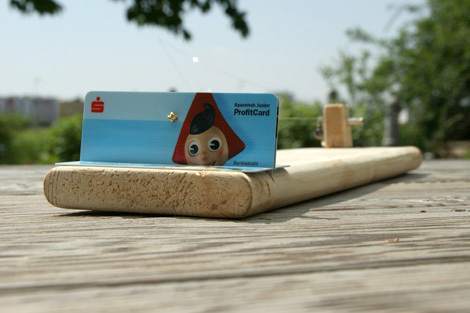 Young & Rubicam approached Mario Wienerroither, Gernot Ottowitz and me with a very intriguing idea: build instruments out of cash cards and write a musical piece with the freshly assembled sonic devices for their client »Erste Bank & Sparkasse«. Challenge accepted! You can watch the result here. 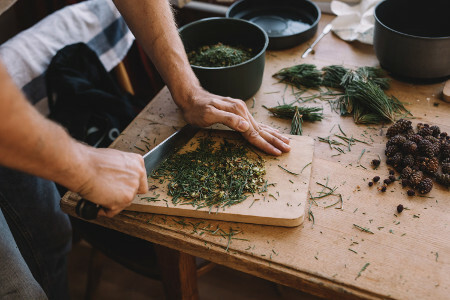 The brilliant colleagues from Skop used my composition »Sunflowers snuggle their heads on my lap (and gaze up at the sky)« for two fantastic cooking videos that illustrate the culinary art of Thomas Dorfer, one of the 100 world's best chefs. Gently click the picture above to watch it or take a closer look at my Scores section! 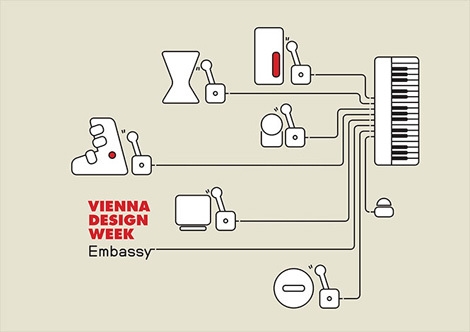 The Vienna Design Week Embassy 2012 by White Elephant Design Lab is an oversized, interactive musical instrument that makes use of the sound capabilities of 14 austrian contemporary design products. I developed a polyrhythmical composition showcasing the sonic possibilites of the table. Click the picture above to take a look! We've been busy once again: Adia Trischler and Andreas Waldschütz shot this mesmerising short film and asked me to provide the soundtrack. It was a very challening and inspiring task to design the sounds for their intricate pictures. Gently click this link or the picture above to check it out. 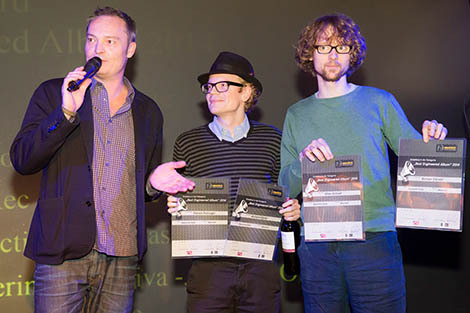 I've provided the music for this years Vienna Independent Shorts festival signation. The images were created by my dearest colleague Robert Seidel. 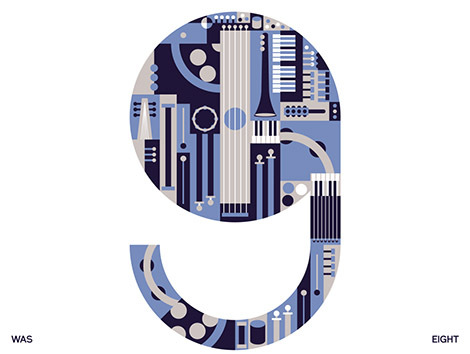 This is a little teaser for our performance at viennese Gartenbaukino on 9th of June. The Reboot Joy Confession just released it's amazing debut album »Absolute Ill Way Harmonious Enterprise« on the beloved label Philpot. I've been asked to contribute some Ride Cymbal playing, so if you listen closely you might be able to eavesdrop on »The Blessing Rides«. 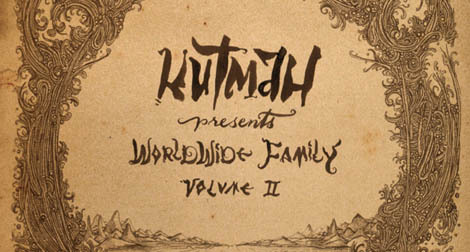 Brownswood Recordings is delighted to announce that the second volume of its »Worldwide Family« series comes courtesy of LA native Kutmah, London's newly transplanted DJ, visual artist and eternal beat-seeker. Kutmah is a king amongst cratediggers; a true musical iconoclast and he selected my collaboration with fellow producer Sam Irl called »Three« for his compilation. Click the pic to check it out! I'm happy to announce that I've started to work with Martin Riedler on the sound design for a very interesting project. 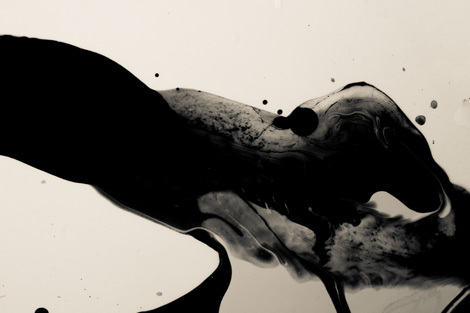 »Creation of Uncanny Matter« by the collective »Dekolta's Handwerk« is a theatre play in development, experimenting with the theatricality of chemical processes. A narrative without words, based on gesture and atmospheric noises and sounds, deals with the genesis of a virtual world and its consequences. 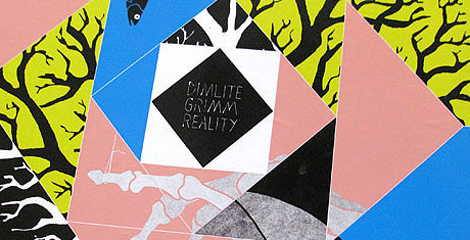 The visionary producer Dimlite just released his third long player on Now Again/Stones Throw. I'm happy to announce, that i contributed drums to this brilliant work. You can listen to my playing on the track »Fridge Note« or »Healing A Random Tyrant«, for example! 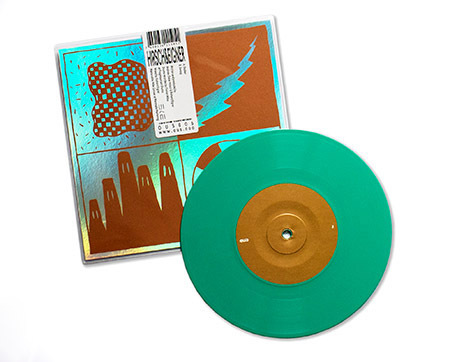 I recommend getting the 3x10-inch vinyl box with outstanding artwork by Anneka Beatty. If you happen to find yourself in Linz, Austria let me thoroughly recommend the Baumarktmusik evening at Quitch to you. Armed with a multitude of material collected in »do it yourself markets« a bunch of handpicked sound artists will perform their very own interpretation of Baumarktmusik. I have the honour to open up the show with Pomassl. My special instrument setup will be: doorbell, krallengreifer, red pepper, wall tile and metal frame! 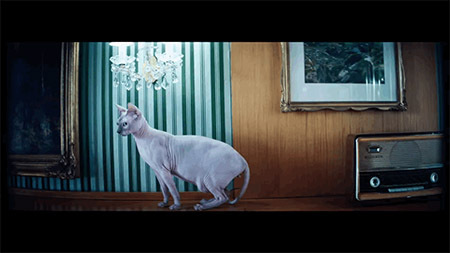 Abby Lee Tee's Stray Cat Remixes are out now. The package contains remixes by the likes of Feux, Kalifornia Kurt or Swede:art and also features my Ritornell Rework for »Morning Scene«! It's a free download, so click here to check it out! 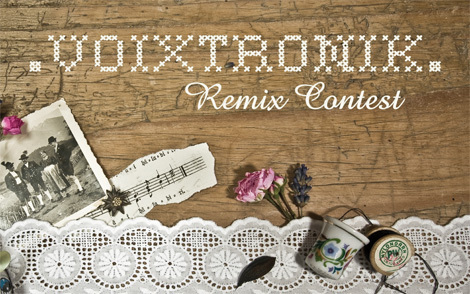 I'm delighted to announce that I've won the Voixtronik Award 2011 in the category »instrumental« with my piece »Sunflowers snuggle their heads on my lap (and gaze up at the sky)«. Gently click the picture above for your listening pleasure! My Ritornell rework of Clara Moto feat. 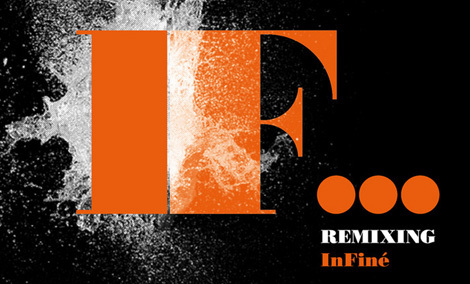 Mimu - Deer & Fox is now featured on InFiné's compilation »Remixing InFiné«. 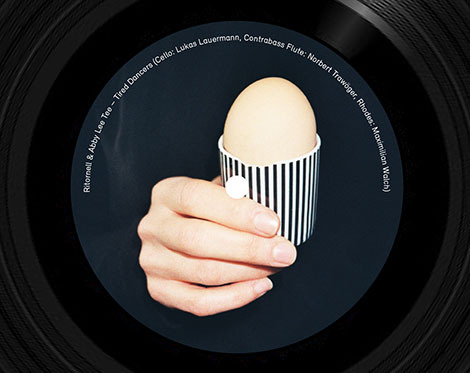 Nice company: Modeselektor, Clark, John Talabot, Stacey Pullen and Tyler Pope feature with remixes too. The documentation of Robert Seidel's projection sculpture Black Mirror is online now. I contributed the music to his great documentation. To check it out, gently click on the picture above or on this link. If you are in Los Angeles please visit Young Projects until August 20th to see it live! Busy days are ahead of me: Keep An Ear On Symposium will feature one of my Denoising Installations at Centro Per L'Arte Contemporanea Firenze from 19th - 22nd Of May. Right after that I'm travelling to Beirut to denoise a noise concert at Beirut Art Center, play a concert with Sharif Sehnaoui, hosted by Acousmatik System at Artlounge Beirut and talk about my work at Beirut's own Ruptured radioshow. Thanks to Departure we are currently working on an audiovisual interpretation of Elfriede Jelinek's book »Macht nichts. Eine kleine Trilogie des Todes« (1999). While Mimu, Gerhard Daurer & Jona Hoier are responsible for the visual part, I'm currently designing multilayered soundscapes to underline the narration. 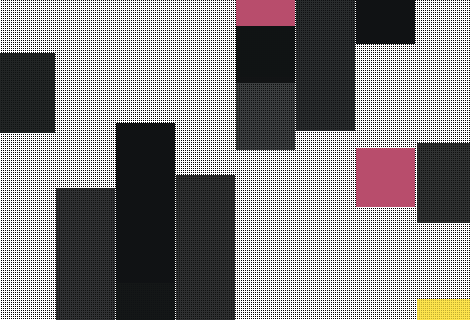 You can catch a first glimpse of our work at this year's sound:frame Festival on 7. April 2011 at Salon 5. Dimlite's most recent work »My Human Wears Acedia Shreds« is out now on Now Again Records, a sublabel of beloved Stones Throw! I have contributed drums to »Metal Snake Rider«, an expansive opus packed into a mere three minutes of non-stop invention. Get your copy here. 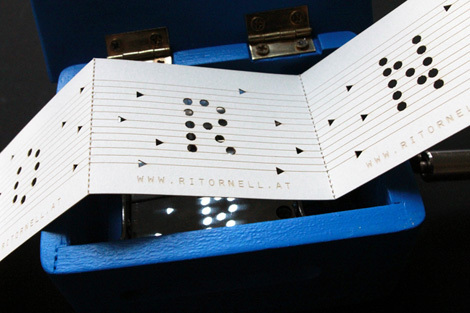 Ritornell's Studio2 Session is finally available for download! It also comes with a special dolby surround version of »Deer & Fox« and »Musicbox«. If you are more the visual kind of person you can watch a video of us having plenty of fun recording the music! Gently click the picture above for your downloading pleasure. Please check out my rework of Clara Moto's & Mimu's rendition of Deer & Fox! It's out now on InFiné Records. You might want to get it at our favourite store zero"! 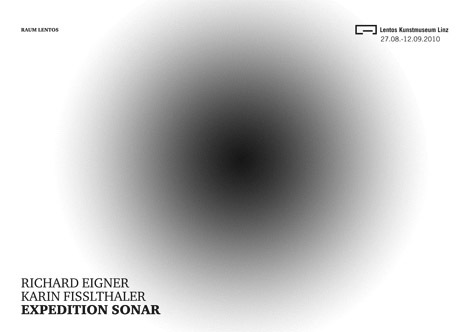 Karin Fisslthaler and myself will present the findings of our sonorous expedition of Lentos Art Museum in form of several sound installations. The exhibtion takes place from 27. August - 12. September 2010. Don't miss it! I've adapted my piece »Golden Solitude Pt.1« for Clemens Kogler's amazing work »Stuck in a Groove«. Phonovideo is a VJ tool or visual instrument used to display animations in an analog way without the help of a computer. »Stuck in a Groove« is Clemens first film made with this technique. Gently click the picture above to check it out! Take a closer listen to Flying Lotus' new space-opera »Cosmogramma«: I contributed some free-jazz-drumming to the track »German Haircut« that also features Lotus' cousin and Jazz-Legend Ravi Coltrane. Oh yes!! 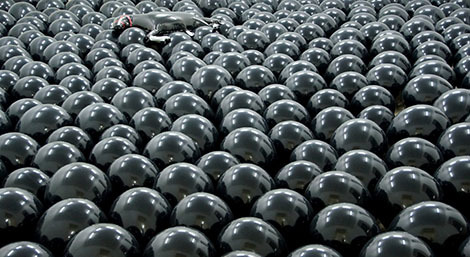 I have just finished the sound-design for a new installation by Robert Seidel. It will by exhibited at the Museum of Contemporary Art Taiwan from 15. June till 18. July 2010 as part of the show »Tripolar - 3 Positions in German Video Art«, so if you happen to be in the surrounding area check it out! 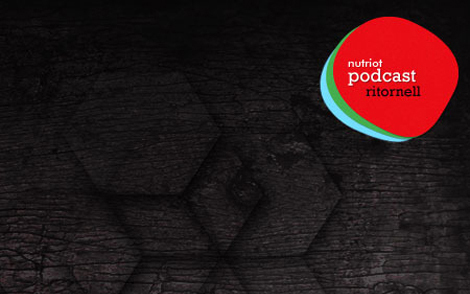 For this week's zero" podcast I'm supplying a moody trip through the sonic world of Ritornell. The mix starts out with Matthew Dear's »Honey«, from his brand-new »Black City« album, and glides through pieces by Pantha Du Prince, Alva Noto, Vladislav Delay, ISAN, Lali Puna, and Ø. 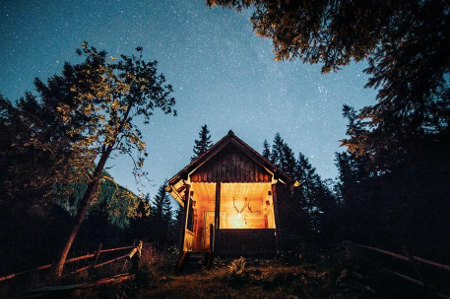 Exquisite ambient electronica for endless summer evenings.